Patients who are the most at risk of getting infected are those with a weak immune system such as newborn, elderly and people already sick. The symptoms are fever, ache and fatigue. Nursing home facilities are especially at risk. So far outbreaks have often been kept confidential as hospitals and nursing homes argue that they don’t want to scare people unnecessarily. They also want to avoid being sued for potential hospital negligence , nursing home negligence or medical malpractice. Discovered first in Japan in 2009, Candid Auris is a fungus that spreads mostly in the healthcare system. It can be found on patients and on surfaces in medical facilities. Any body part including wounds and bloodstream can get infected by this fungus. Patients getting intubated are among the most at risk of contracting the disease. Candid Auris can also live on the skin of a person without infecting the person. 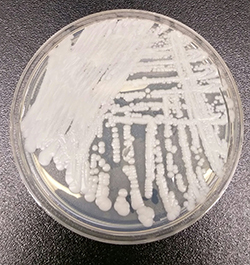 However when a person is infected it becomes difficult to cure because this superbug is resistant to antifungal medicine commonly used to treat Candida infections. Some of them but not all of them are sometines resistant to all 3 types of antifungal medicine. The most common symptoms are fever and chills which makes it difficult to immediately identify. The best way to prevent getting infected is to wash hands regularly.